Friday the 13th may be a superstitious day to most, filled with negative and eerie happenings. For Eric LeMarque, Friday the 13th was a day of salvation. A second chance. A light to guide him from the dark. Following eight days lost, alone, and on the brink of death in the Sierra Nevada mountain range, the former professional hockey player Eric LeMarque was found — and reborn. That day was Friday, February 13, 2004. 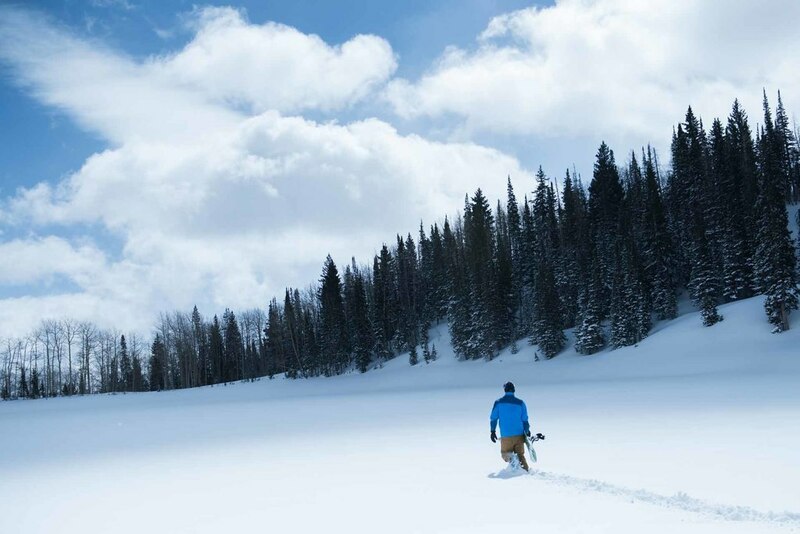 LeMarque’s harrowing tale of pro hockey player turned drug addict who gets lost in the frozen wilderness for more than a week and has since turned his life around is shared in the new film 6 Below: Miracle on the Mountain, open in theaters and available On Demand/Digital HD on — you guessed it — Friday, Oct. 13. Call it coincidence. Irony. An act of God. Fate. The film stars Josh Hartnett (Black Hawk Down, Pearl Harbor) as LeMarque and Academy Award winner Mira Sorvino (Aphrodite) as his mother, Susan. It’s directed by Scott Waugh (Need For Speed, Act of Valor), who, coincidentally, played youth hockey with LeMarque for six years. LeMarque’s story began full of promise as he rose to the ranks of pro hockey player, selected by the Boston Bruins in the 1987 NHL Draft. He also represented France at the 1994 Winter Olympics in Lillehammer, scoring a goal. After bouncing around in the minor leagues in the United States and playing in France and Germany, LeMarque began searching for a new high; something that can give him the same energy and excitement he lived and breathed daily on the ice. He became addicted to crystal meth and thus ensued a downward spiral of drugs and isolation. LeMarque also took up snowboarding, now getting his thrills from the powder on the mountain and the powder he snorted up his nose. On Feb. 6, 2004, despite an impending storm on the horizon, LeMarque took to the mountains. As the sunlight waned, LeMarque boarded down an uncharted run on Mammoth Mountain. Once he got to a flat part, he started walking in the direction he thought would bring him back to safety. It didn’t. He was lost. Armed with minimal clothing, a dying cellphone, a few pieces of gum, a pack of wet matches, an MP3 player and a bag of meth, LeMarque was in for the fight of his life. LeMarque did all he could to survive. He ate tree bark and pine needles. He drank his own urine. He ate bits of his own flesh that were peeling off from frostbite. He dug trenches in the snow to try to hide from the elements. He shoved foliage into his clothes as an extra — albeit scratchy and uncomfortable — layer of insulation. He even dumped what was left of his meth stash to utilize the plastic bag as a container to melt snow into consumable water. For more than a week, LeMarque had to not only conquer the harsh elements, but he had to conquer his own demons and addictions. Finally, on the eighth day — Friday the 13th — salvation in the form of a helicopter came down from above and saved LeMarque, who was on the brink of death. Frostbite took both of his legs from below the knee, but he still had his life. He was given a second chance to turn things around, to stop doing drugs, to be a better son, to be a better person. LeMarque has taken full advantage of his second life. He hasn’t done drugs since. He is a motivational speaker and published author. A proud father. A loving husband. A better man. “Thank God for second chances and thank God we can find redemption again,” he said. “To find your way out of that darkness is really rewarding. Now I live my life for other people who can draw inspiration, whether it’s from my time on the mountain, what happened to me after with losing my legs or, of course, the addiction. LeMarque has ventured back into the mountains that caused him so much pain and took so much from him; in fact, his first time back on a snowboard was one year to the day of his rescue. He’s said the experience changed his life for the better, putting things into perspective. Now he shares his love of hockey and snowboarding — passions of his that he did alone most of his life — with his wife, Hope, and sons, Nicholas and Zach. There’s no debate about it: Moab, Utah, is the mecca for outdoor activities. Surrounded by not one, but two national parks—Arches National Park and Canyonlands National Park—the quaint town of less than 5,500 offers a bevy of nearby activities including four-wheeling, mountain biking, river rafting, hiking, BASE jumping and canyoneering.